Clark brands, formerly referred to as Clark Oil, is an American company that has gas stations across the United States throughout the Midwest and other parts of the country. Some of their locations have an On the Go convenience store attached to their gas station locations. They also have divisions that handle oil refinery. For more information on the Clark application, follow the link below. 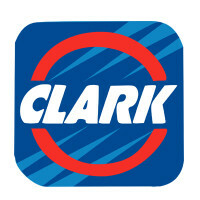 Founded in 1932 by Emory T. Clark, Clark brands began as a single Clark’s Super gas. This filling station only sold premium gasoline and did not provide any mechanical maintenance or tire changing services. In 1943, they began to refine oil as well. This foray proved successful for a while, as they had a high profit margin as a result of selling their own premium gasoline. Today, Clark Brands LLC. is headquartered out of Naperville, Illinois. They operate in 30 states across America, servicing over 1,000 locations and is constantly expanding every year. Their goal is to license Clark Brands to independent operators. They also help support their local community through charities including the Ronald McDonald House. This company is looking for employees with amazing customer service skills as well as those who have a vast knowledge in their field. They offer growth and advancement opportunities within their company, making this a great place for job seekers that are looking for security and growth in their career. If this sounds like a company for you, apply today. Clark Brands have a variety of positions available between their corporate office, oil refineries, and gas stations. The gas stations offer entry-level positions so that a person can get into the company and move up the ranks, turning their job into a Clark career. Some positions at the gas station include gas station attendant, convenience store cashier, and store manager. The corporate office and oil refineries have a wide variety of positions for a job seeker to find the right job fit for their skills and talents. These places both have entry-level positions available, however most positions are higher level with more requirements to gain employment. Some positions at these levels include operations manager, marketing, and human resources. There are different requirements to employment depending on the positions. Entry-level positions have little requirements for employment, but higher level positions may require at least a college degree. Requirements are clearly stated when applying. How old do you have to be to work at Clark? The minimum age of employment is 18 years of age. This company offers benefits similar to those others in the industry. Employee eligibility for benefits can depend on hours worked weekly and job title. Some benefits include health insurance, dental and vision plans. They may also receive paid time off, flexible scheduling, and competitive wages. Other benefits include paid training and access to 401(k) plans. The hours of operation can vary depending on location and holidays. Some holidays may cause either full day or half day closures. For more information on hours of operation, you can contact your local gas station for details. In general, hours of operation are 24 hours a day, 7 days a week. Gas Station Attendant- The gas station attendant is primarily responsible for working at the counter and cash register receiving payments from customers. They will also assist if customers if they need help pumping gas. They will also stock shelves as needed, including preparing food that is to be sold. During slow times, they will also clean the store. A gas station attendant may earn minimum wage. Lead Attendant- The lead attendant will perform many of the same duties as the gas station attendant. The lead attendant will also prepare food for the prepared food section. A lead attendant will also be responsible for training new employees. They will also take over managerial duties at the store when no other manager is around. A lead attendant may earn around $10 per hour. Assistant Manager- The assistant store manager is responsible for assisting the manager in running the daily operations of the gas station. They will help the gas station attendant when the station is busy or short staffed. They will also help with inventory and stocking shelves, as well as assisting with employee reviews. An assistant manager may earn around $25,000 a year. Manager- The manager is responsible for running the daily operations of the station. They are in charge of hiring staff, and letting go staff as needed. They will conduct job interviews for potential candidates. The manager is responsible for their station’s payroll, budget, and inventory. They will also schedule their staff in the most cost effective manner possible. A manager may earn around $35,000 a year. These are some questions that you may be asked during your Clark job interview. Why do you want to work at Clark? This question may require some research prior to your interview. The interviewer is looking to see what you know about this company and what they stand for. You should mention which values that you share with this company to make you a good fit working here. Why should we choose you over the other candidates? The interviewer is giving you the chance to sell yourself to this company. Take this opportunity to discuss your strengths and why the company would benefit from them. This should be done in a confident manner without sounding like you are bragging. Have you ever gone above and beyond for a customer? The interviewer is looking to see if you are going to be a person that goes above the call of duty for the customers. Discuss any time where you had to go above and beyond for a customer. What is good customer service to you? This business has been so successful as a result of their emphasis on customer service. The interviewer wants to get a feel for what you feel good customer service is. Answer this question by mentioning a time that you have received customer service and what made it memorable. Are you aware of all laws regarding the sales of tobacco and lottery products? States have very strict laws about the sales of tobacco and lottery tickets. The interviewer wants to be sure that you are aware of these laws and what you need to do to enforce them, as well as the legal repercussions for not following them. Answer honestly, explaining what you know about these laws and any others that may be applicable. You can apply at Clark for a job by filling out a Clark job application form at your local Clark gas station. There is no place to apply directly online at Clark jobs online, as there is no job website. There are no printable applications. There are no downloadable applications available. You may also complete a resume to send to the corporate office for consideration. The company website does not have job descriptions and responsibilities on the website. This can make choosing a job that is a fit for your skills and talents more difficult. You should remember to only apply for a position that you are potentially qualified for. You should also remember to submit an updated resume along with your application. You should hear back from this company within a reasonable time after applying. If time has passed, you can call the location that you applied at to check the status of your application and check to see if they are still hiring for that position. This can help you seem eager to work here and give a good impression to the hiring manager. It is advisable to prepare for your interview a few times beforehand. Do this by asking yourself potential interview questions and answering them out loud. This can help you ease your nerves before your interview. You will be able to go into your interview more confident as a result. You should also remember to dress in a professional manner, which can make or break your chances of getting the job. Exxon: See this page for jobs at Exxon. Royal Farms: See our resource page for more information on Royal Farms careers. Turkey Hill: See this page for jobs at Turkey Hill. Kum & Go: See our resource page for more information on Kum & Go careers. Mobil: Use the Mobil job application to apply here.